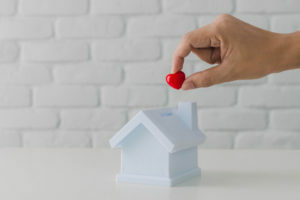 Valentine’s Day is all about hearts and flowers, so adding your home’s furnace into the equation might not exactly seem like the most romantic thing to do. But did you know that if you show your furnace a little love by getting it the maintenance it needs, it’ll save you money? And that’s extra money you can spend on special gifts for your Valentine! Annual maintenance helps your furnace operate more efficiently. Maintenance helps to free your furnace of dirt and debris buildup, and keeps all the moving parts well lubricated so that it runs, quite literally, like a well-oiled machine. And when it operates more efficiently, you’ll likely save money on your utility bills. Maintenance can keep the need for repairs at bay. It helps catch small problems before they become larger, much more expensive issues. That’s because qualified technicians are analyzing your system on an annual basis, and can easily spot any concerns that might become bigger problems for you down the road. A well-maintained furnace is a longer-lived furnace. As mentioned above, annual maintenance helps find potential problems and allows you to take care of them right away. And, maintenance keeps your furnace clean and operating efficiently, which can add to its lifespan. Preventive maintenance keeps your warranty intact. You might not realize this, but chances are if you read the fine print on your equipment warranty, you’ll see that annual maintenance is required. Most manufacturers view annual maintenance as a reasonable measure the homeowner can take to keep equipment running smoothly. And, not getting maintenance may void your warranty. The air in your home stays cleaner, too. One of the best ways you can help maintain your furnace is by cleaning or changing the filter when it becomes dirty. The air that flows through the filter into your home will contain fewer contaminants as a result. Not only will you breathe easier, but also your furnace will operate better when it doesn’t have to force air through a dirty filter. We’ll clean or change your filter during your annual maintenance, but ideally you should change it monthly during times of high usage. Getting annual maintenance from T.F. O’Brien is easy. At T.F. O’Brien, we love providing our customers with the services they need to keep their furnaces running effectively and efficiently all year long. And, showing your furnace the love it needs this winter is easy when you work with us. All you need to do is call us at 516.488.1800, or request an appointment online, and we’ll be more than happy to schedule your maintenance appointment with you.